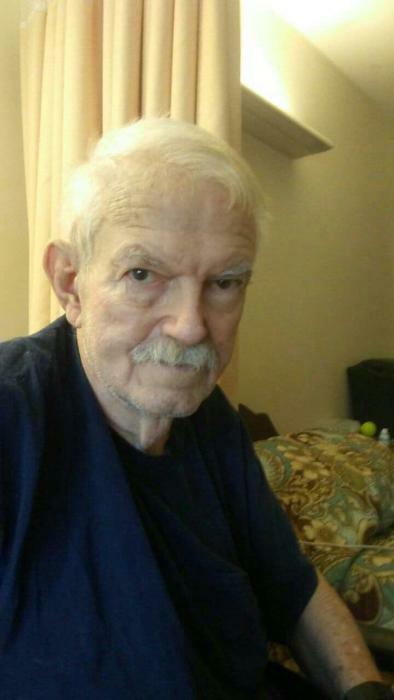 Mr. Jerry Gordon Atchison of Andalusia passed away Friday, March 22, 2019 at the Andalusia Manor. He was 75. Graveside services will be held 2 p.m., Tuesday, March 26, 2019 at Zion Hill Baptist Church Cemetery. Rev. Roger Lee will officiate. The family will receive friends at Zion Hill Baptist Church from 12 noon on Tuesday until time for the graveside service. Survivors include his loving wife of 56 years, Geraldine Atchison of Andalusia; son and daughter-in-law, Carl and Angie Atchison of Libertyville; daughter and son-in-law, Teresa and Tom Hale of Andalusia; grandchildren, Justin (Kaylah) Odom of Minnesota; Tommy (Brittany) Boyett of Colorado; 7 great-grandchildren, Addison Henderson, Paige Boyett, Andrea Boyett, Savannah Boyett, Kylee Odom, McKenzie Odom and Sam Mesko. Mr. Atchison worked as a construction worker most of his life and was a member of Zion Hill Baptist Church. He enjoyed fishing, camping, boating, especially on a sailboat. He was preceded in death by his parents, John Atchison and Gladys Carter Atchison, a brother, Roger Atchison and a great-granddaughter, Madelyn Odom.